The daughter of the late U.S. Naval Captain Patrick Hay, Lisa Loy traveled throughout her childhood living on or near bases at Puget Sound, San Diego, NAS Pensacola, and Philadelphia. As a young adult in the mid-seventies, she attended Smithdeal-Massey Business College while working part-time for a law firm in Richmond, Virginia. She later became an underwriter and branch manager with Lawyers Title Insurance Corporation. Always interested in music, she also enjoyed managing a rhythm and blues band traveling from New York to Key West for 5 years. In 1983 she followed her park ranger brother to the Outer Banks of North Carolina and worked as a real estate assistant for attorney Daniel Khoury in Kill Devil Hills. In 1985 she became a real estate broker and associated herself with Sun Realty in Duck where she eventually became the sales manager. In the fall of 1987 she opened her own real estate brokerage, Carolina Designs Realty, Inc. Today Carolina Designs engages general real estate sales and manages more than 300 upscale weekly vacation homes. In 1992, she sold half the business to Art and Monica Thibodeau so that she could pursue a new career in photography, writing and graphic design. She began work with the North Beach Sun writing an aviation column and special features. She eventually became its art director and editor. In between issues of the quarterly newspaper she operated her graphic design business, Thrasher Graphics. She also worked part-time as the Executive Director for the First Flight Society and co-edited and designed its newsletter, The Flyer. In 2000 she moved her office to her home and limited her work so that she could spend more time with her family. Over the years she has continued to write for the North Beach Sun and has edited such publications as the Restaurant Guide, Kitty Hawk Kites Adventure Catalog, the Wedding Guide, Outer Banks Real Estate, and the OBX Marathon Program. She ventured into publishing in 2003 with the release of First Flight Visions and the First Flight Centennial Official Program. In 2004 she edited, designed and published the First Flight Centennial Final Report. In 2007 she opened The Carolinian Studio, a cooperative for music teachers and artists with award winning guitarist and songwriter Ruth Wyand. Lisa Loy has a long-standing interest in her community, aviation, water safety, and the arts. She has served as a director on the boards of The Duck Civic Association, The Dare County Chapter of The American Red Cross, The Dare County Arts Council, and currently, the Outer Banks Patrons of the Arts. As Vice President of the Kitty Hawk Elementary School PTA she worked in programming cultural events and served as liaison with other schools. She has worked in public relations for Outer Banks Hotline events such as The Carolista Music Festival and she designed and published a booklet entitled First Person, an uplifting collection of true stories by survivors of domestic crisis. For the Dare County Arts Council she worked in programming and grant writing, and handled PR for events such as Beaux Arts Ball and Artrageous Art Extravaganza. 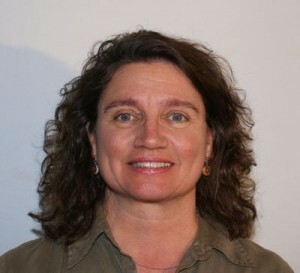 She has served the Outer Banks Forum for the Lively Arts in PR and in design. She currently resides in Southern Shores with her husband, William G. (Greg) Loy. They are restoring the home of hang gliding pioneer and legend Francis Rogollo. Their blended family includes 5 teenage and adult children––Whit, Marshall, Patrick, Alexi, and Pierce.